An outspoken critic of the Grammys’ controversial decision this year to eliminate 30 awards categories was graced with a nomination last week by the host organization, the National Academy of Recording Arts and Sciences (NARAS). “I’m extremely proud,” said bandleader and pianist Arturo O’Farrill, whose album “40 Acres and a Burro” has a bid for Best Large Jazz Ensemble Album. “To compete with big, big, big names is very healthy, but it doesn’t bode well for us [Latin jazz musicians],” said O’Farrill, winner of the 2008 Best Latin Jazz Album award and a four-time nominee. 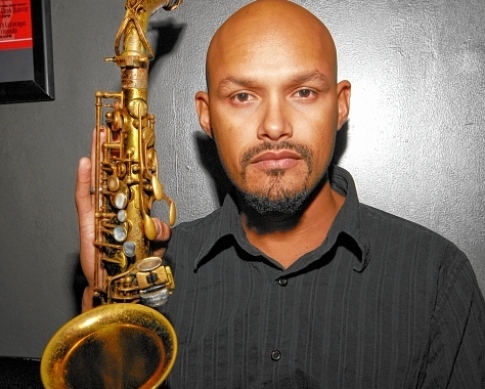 Also competing for Best Large Jazz Ensemble Album — the only category in which Hispanic artists were nominated that did not involve Latino/Mexican/World Music — is Puerto Rican saxophonist Miguel Zenón, who saw in the academy’s restructuring a chance for Latin artists to gain more widespread jazz cred. Zenón’s sixth album, “Alma Adentro: The Puerto Rican Songbook,” won him his third Grammy nomination. NARAS said in April it would eliminate 30 award categories, including several ethnic genres like Hawaiian, Native American and Latin jazz. The move prompted an instant outcry from musicians. Album, and two for Mexican music — Best Regional Mexican or Tejano Album and Best Banda or Norteño Album.